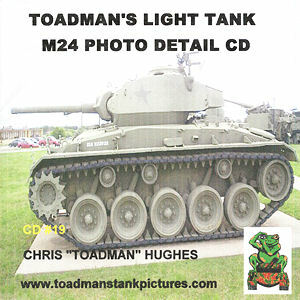 This latest photo CD from Chris “Toadman” Hughes (web site www.toadmanstankpictures.com) follows the same formula as previous CDs with a series of excellent walk around photos of the M24 Chaffee Light Tank taken at the Military Vehicle Technology Foundation, Portola Valley, CA, the World War II US Military Vehicle Museum, San Rafael, California, the 1st Cavalry and 4th Infantry Division Museums, Ft. Hood, Texas, and Ft. DeRussey, HI. 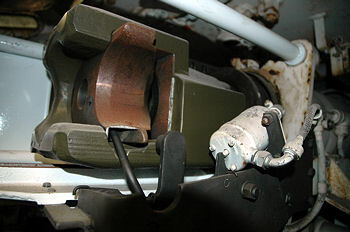 The CD contains 286 large format .jpg images (mostly 2240 x 1488 pixels) with the photos broken down into sub menus with the introduction followed by sections for Profiles, Turret exterior, Hull exterior, Engine Compartment, Suspension, Turret and Hull interior. These allow you to go directly to a particular section and while there are no actual thumbnails each section has a list of image titles making finding the image you want fairly easy. The Profile section has a series of general shots taken from around the vehicle for good overall views as well as putting the following extreme close-up shots in perspective. 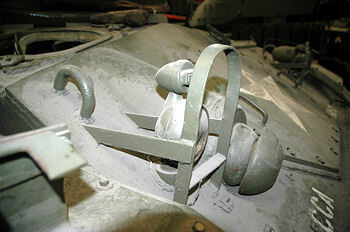 The turret exterior has every conceivable detail with details of the turret casting that shows details including the cupola and hatches shown inside and out as well as the .50cal MG mountings, aerials, ventilator and tie down loops for a very detailed coverage. 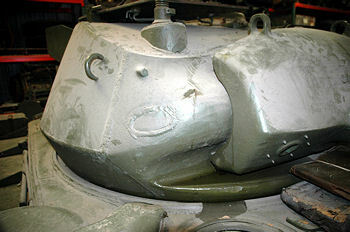 The Commander's cupola has many shots from different angles to give excellent overall and details views and the rear turret bin details such as the hinges and the gun mantlet is also shown from various angles for a good overall coverage. Next is the hull exterior which again has excellent close-up shots of every detail from the front lights and bush guards, hull machine gun mounting and distinctive glacis access panel, the lifting hooks and side fenders. On the top are numerous shots of the front crew hatches plus many shots of the rear hull showing the details from different angles for good perspective. The rear plate shots show the fittings added to later Chaffees as well as the tail lights, lifting hooks and towing pintle for another good all around photo coverage. This is followed by coverage of the engine compartment with shots taken through the open engine access hatches with shots of the engine and accessories from various angles to show the details very well. You should that some things like the hoses and some gititings are not original but still good perspective of where things go on the original. 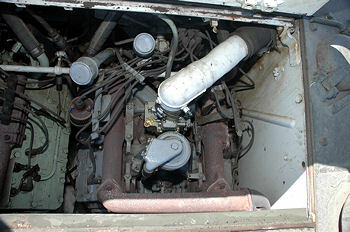 There are various shots taken of the engine underside from below the vehicle with the hull bottom access panels removed to show some detial not often seen. 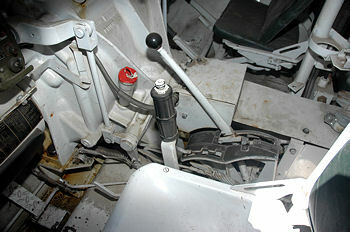 The section on the suspension has detailed shots of the drive sprockets, road wheels, return rollers and idlers as well as the hull mounted shock absorbers and axles arms with shots taken from underneath and between the components to show detail not usually seen. 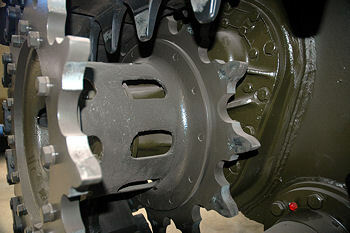 The tracks showing both the T85E1 and T72 tracks again have shots from various angles and there are also a few shots of the torsion bar hubs for excellent detail coverage. 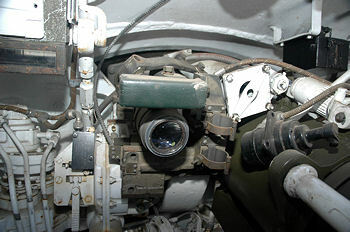 For the turret interior there are shots taken panoramic style around the walls with close-ups of the gun breech, gun mountings and associated gun controls, sights and mountings to the crew seats, ammo racks with over 40 photos for an extremely detailed look at the interior. 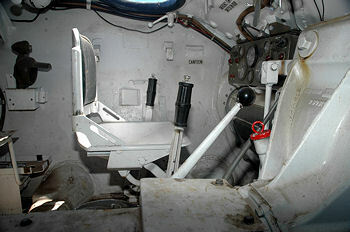 This is followed by an equally detailed coverage of the lower fighting compartment showing details such as the rear bulkhead, side walls with the equipment fittings and ammo bins plus the driver's station with shots of the driver's controls including foor pedals, seat and instruments as well as shots of the lower hull detail to show just about every detail possible. give and indication of the details included in the images. The CDs have an auto run feature when used on a Windows based PC but MAC users will need to manually run the Title.htm file to get things going and the images are presented on a web based interface in your browser so the feel is just like looking at a regular web page with menus to navigate through the pages and images, all quite easy really. You can also use any other image thumbnail program to view the images if this is preferable and of course they can be printed for easier reference as desired. Another excellent photo CD from Toadman's Tank Pictures providing superb close-up details of the M24 that includes vertually every part of the vehicle including the engine and interior for a wealth of detailed information invaluable to modeller's. See Toadman’s web page for details of additional Photo CDs available as well as the on site walkarounds. Thanks to Chris “Toadman” Hughes for the review CD.